If you use any aspects of iCloud sync—Photo Stream, saving documents from iWork apps, or anything—I strongly recommend that you stop reading this review, go buy the $7 Cloud Mate, and then come back here to read why you just bought yourself a great Mac app. Cloud Mate offers features that Apple should provide on its own. But since Apple doesn’t, we can rejoice that Cloud Mate stepped into the breach. The app sports a two-pane interface. On the left sit all your apps (both Mac and iOS) that use your iCloud account for syncing. Click any of those apps, and the larger right pane will list all the documents and data synced in iCloud for that app. 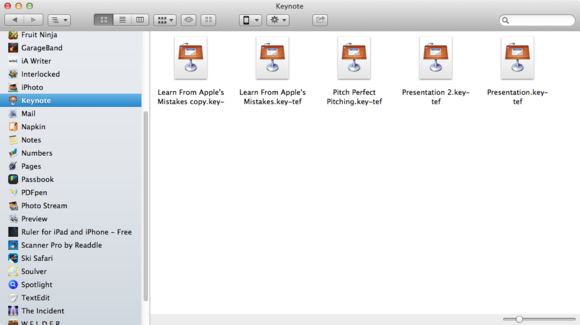 For example, when I click on Pages in the left pane, I see all of my iCloud-synced documents for the app. I can double-click on one of the files to immediately open it in Pages. This feature is essentially the Dropbox-ification of iCloud. 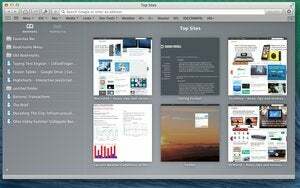 By default, Cloud Mate shows you the iCloud-synced documents for a given app. For apps, such as games, that don’t use iCloud for document syncing at all, however, Cloud Mate will show nothing. Developers might use iCloud behind the scenes to sync other kinds of data, data that isn’t meant for normal humans to peek into. One feature that by itself makes Cloud Mate nearly worth the price of admission is that it gives you access to Photo Stream without requiring you to first launch iPhoto. Cloud Mate presents all the photos from your Photo Stream; and—as with other file types that the app understands—you can instantly view the photos via Quick Look. You can rename files, create folders, remove files, and even drag files into the app—and into your iCloud storage. You’ll want to tread carefully here, however—you could wreak havoc with such features. Though I successfully dragged a plain-text file into the iCloud storage space for iA Writer, I’m not eager to see what would happen if I started putting incompatible files there. Cloud Mate has other features, too, including an iCloud Monitor window that shows a real-time indicator of what files are going up to and syncing down from the cloud. And a companion iOS app, also called Cloud Mate, can work in tandem with the Mac app to give you similar access to your iCloud-synced files from your iOS device. Cloud Mate can’t perfectly recreate the ease of Dropbox’s ubiquitous synced file access, but it brings iCloud far closer to that ideal than Apple itself seems to be willing to do. 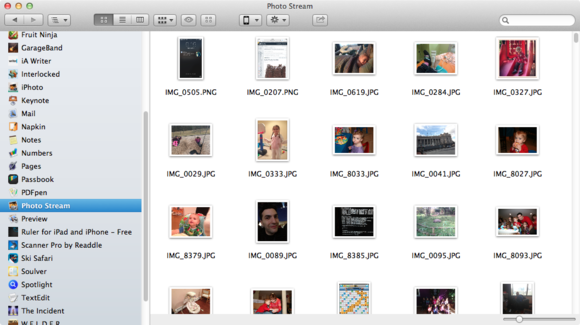 Cloud Mate offers gives you a very freeing way to navigate your iCloud-synced files and Photo Stream photos. Cloud Mate unleashes the potential of Apple's iCloud storage.